Always looking for new ways to use leftover chicken or rotisserie chicken? 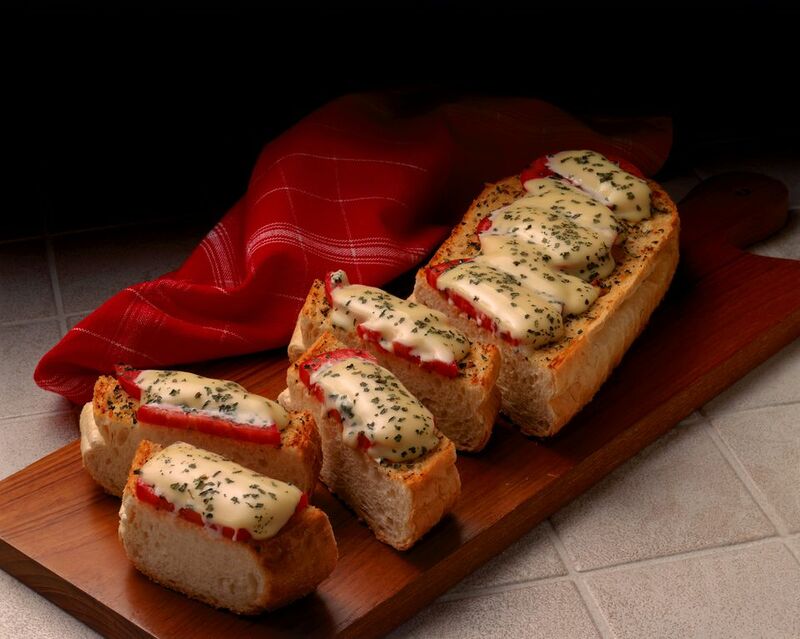 This French bread pizza recipe is a great one. With three kinds of cheese, garlic, and red peppers, this recipe for French bread pizza is tasty and satisfying. Serve this chicken French bread pizza for lunch, a snack or dinner. In a small bowl, stir together the first seven ingredients. Slice French bread in half lengthwise. Cut each half crosswise into three pieces. Spread butter mixture over each piece. Sprinkle mozzarella and Parmesan cheeses over chicken. Bake 8 to 12 minutes until cheese is melted and golden brown.